The Pop star Chris Brown has reportedly been banned to avail fitness and health facilities at the Life Time Athletic Fitness Clubs. The ban was put against the singer after he was found practically involved in a heated argument with an employee of the club on Friday in New York. The 27-year-old was at the premises of one of the clubs located in the American city when he had an unwanted conversation with a manager which went into an argument making the security boot him out from the location on January 6, 2017. The Loyal hit-maker was reportedly so aggressive with a very harsh and unacceptable way of conversing when the incident took place. According to a representative of the organization, the argument was really not acceptable and was very aggressive. For that reason, the bosses of the organization issued an order to forbid him and his rowdy friends from entering into any of the company's gymnasiums. It is important to mention that the organization of the Life Time Athletic Fitness Clubs has over 100 branches across Canada and the United States. Many entertainment websites have published the unpleasant incident that reveals that the Chris Brown and a group of his pals visited one of the gyms on January 6, 2017. They were playing loud music during a football game at the sport court of the aforementioned exercise center and were enjoying the acts of cuss and hurl insulting at each other. On the complaints of customers, the manager asked the singer and his pals for to tone it down. However, according to the sources claim, Brown's response was very rude to the female manager as he did not take the request in a kind manner, and instead responding agreeably, he began to scream and swear at the supervisor. The cunning behavior of the pop singer, prompted the manager to ask him to leave the premises immediately. The star had no choice than to leave with his group of friends. Sources also claim to have Brown spat on the door while he was on his way out of the building of the club. Quite the opposite of the singer’s history, there are no comments given on the drama took place at the gym from Brown's representatives up till now and they appear to be choosing silence over the matter this time. 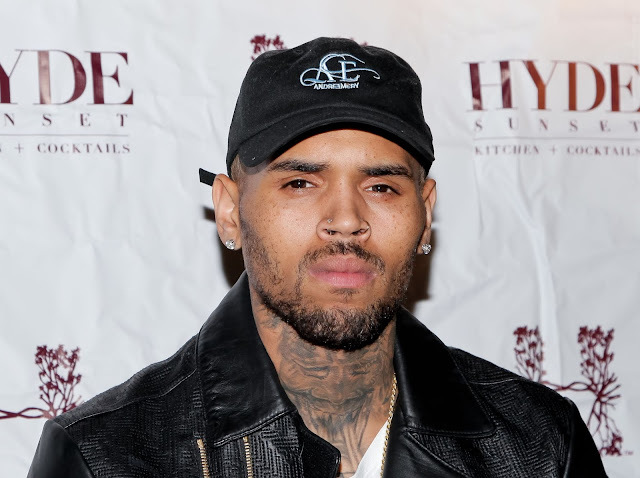 While the musician is reportedly busy in a public feud following the publish of a social media message that was posted by Soulja Boy on Twitter in which he claimed saying that Chris Brown called him and was threatening him for fighting with him as he hit the "like" button on a photo posted by Chris's former girlfriend Karrueche Tran. The insult of the 26-year-old musician rendered Chris Brown to give him a serious challenge of an organized fight in a proper way, and sources claim that Soulja is ready for it. He has not only accepted Chris's provocation but also has consulted Floyd Mayweather to help him promote the fight through his company which is famous as Mayweather Promotions. On the other hand, the dispute has also caused another music personality “Rapper 50 Cent” to step into the matter of the two stars and he made an announcement on January 5, 2017 that Mike Tyson, who is a retired boxer, will train Chris for his upcoming fight with Soulja Boy. It's just the beginning of the New Year and the musician has involved himself in various controversies. However, this is not the first incident where the pop singer has stuck with crises leading to fights as he has lived a long era now where he got into several unpleasant situations. He also received an assault conviction in 2009 when he beat up Rihanna who was in romantic relationship with him that time.